Distributed through 8 floors, with smoking and non-smoking rooms in a building renovated in 2005, with modern and functional facilities. A functional room, ideal for short stays with everything you need to relax comfortably in a comfortable and quiet atmosphere. Large room with air-conditioning, minibar, interactive TV and free Wi-Fi. 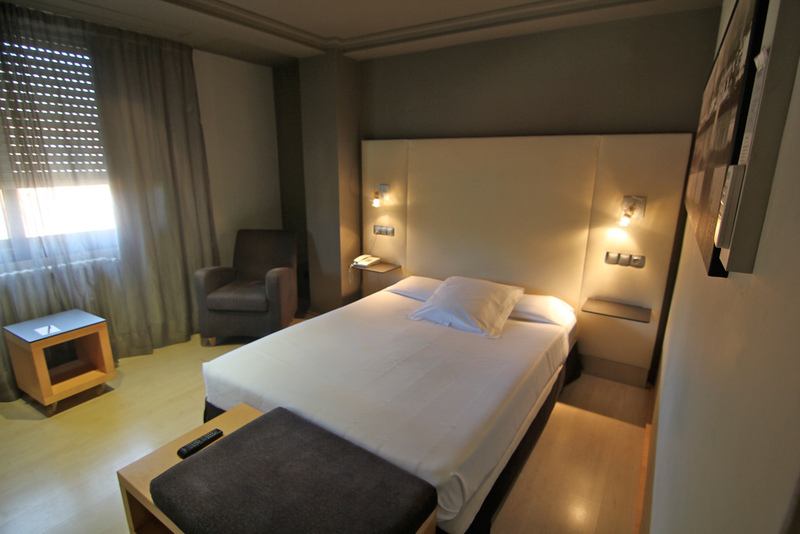 Large room equipped for relaxing and recharging your batteries in a pleasant a quiet atmosphere. Perfect to make the most of your stay in Ferrol. Spacious room with air-conditioning, minibar, interactive TV and free Wi-Fi connection. Spacious, bright and elegant. With practical furniture to make you feel fully comfortable. Large room with modern and functional decoration. It includes air-conditioning, minibar, interactive TV, free Wi-Fi connection and safe with space for a laptop. Large complete and well-equipped room filled with light that includes beautiful furniture of premium quality arranged throughout a wide space. You will enjoy renovated and neat facilities with a modern design, capable of bringing you the perfect atmosphere for the perfect rest. Large room with private balcony, air-conditioning, minibar, interactive TV, free Wi-Fi connection and safe. Decorated down to the very last detail to bring you the most comfortable experience. It is structured in different spaces so that you can swap the atmosphere when you want and be fully comfortable during your stay. Modern and elegant room with air-conditioning, flat-screen TV with satellite channels and en-suite bathroom with toiletries and hairdryer. 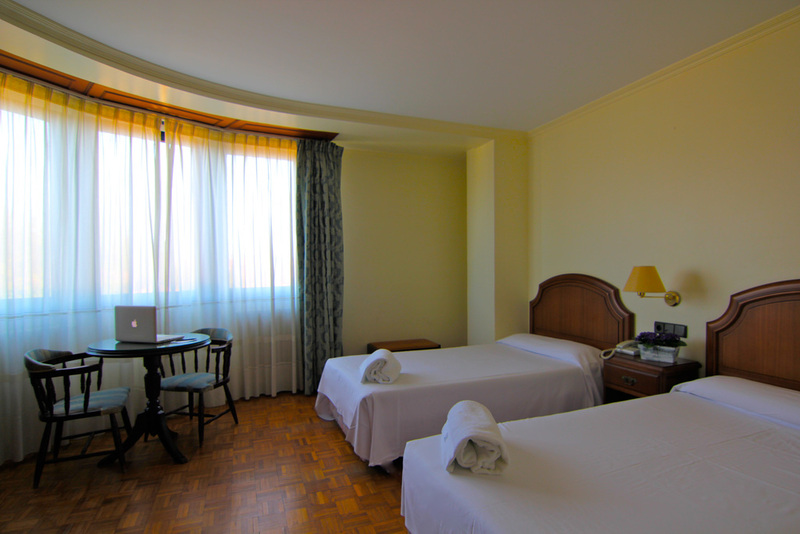 The hotel has free Wi-Fi connection in every room and a car-parking service for clients on Plaza de España. 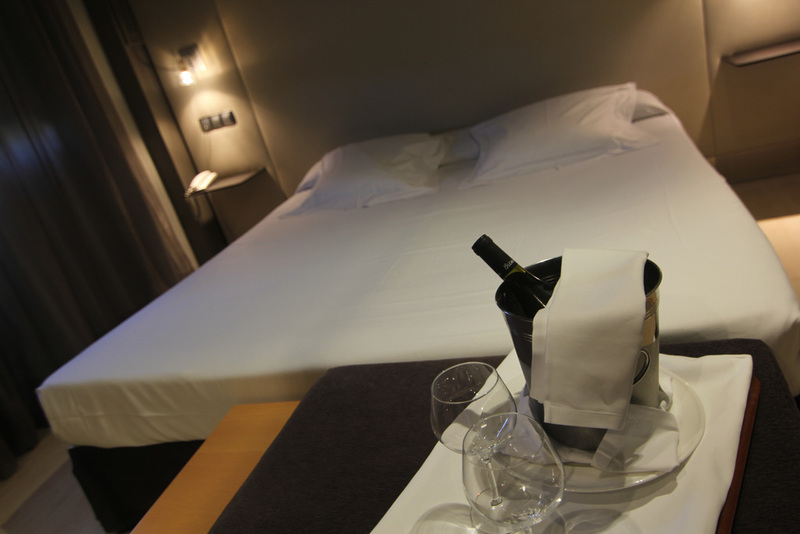 From 47€ per night - 98 rooms of 6 types. Functional rooms that are perfect for short stays, offering guests everything they need for a peaceful night’s sleep in a calm and comfortable atmosphere. Large rooms designed for total relaxation and the chance for guests to recharge their batteries in a delightfully relaxing environment. Just the thing for making the most of your stay in Ferrol. Spacious, luminous and elegant rooms featuring a modern and functional décor. Rooms decorated with impeccable attention to detail in order to guarantee total comfort. Arranged in various settings enabling you to move around at your ease, making you feel totally comfortable throughout your stay. 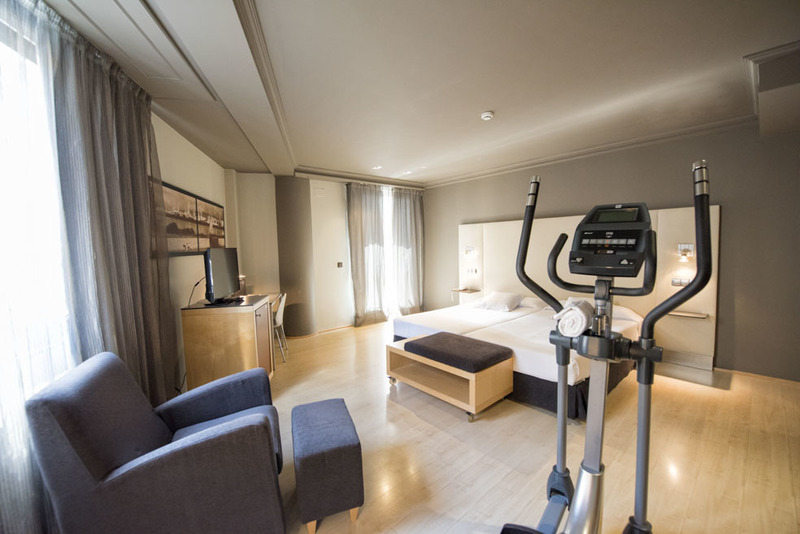 Rooms equipped for you to enjoy all the convenience of being able to exercise without having to leave your room. The facilities include a cross trainer or an exercise bike.